Vote Date: May 28, 2010 Vote: NONE No Vote. Vote Date: May 19, 2010 Vote: NONE No Vote. Vote Date: March 25, 2010 Vote: NONE No Vote. Vote Date: March 24, 2010 Vote: NONE No Vote. Vote Date: March 10, 2010 Vote: NONE No Vote. Vote Date: June 10, 2008 Vote: AYE Bad Vote. Vote Date: June 5, 2008 Vote: AYE Bad Vote. Vote Date: March 13, 2008 Vote: AYE Bad Vote. Vote Date: August 1, 2007 Vote: AYE Bad Vote. Vote Date: July 12, 2007 Vote: NAY Bad Vote. Vote Date: May 10, 2007 Vote: AYE Good Vote. Vote Date: May 3, 2007 Vote: AYE Bad Vote. Vote Date: March 29, 2007 Vote: AYE Bad Vote. Vote Date: January 11, 2007 Vote: AYE Bad Vote. Vote Date: September 28, 2006 Vote: NAY Good Vote. Electronic Surveillance. The warrantless electronic surveillance bill (H.R. 5825) would allow electronic surveillance of communications with suspected terrorists without first obtaining approval from the secret courts established by the Foreign Intelligence Surveillance Act of 1978. Furthermore, the bill would authorize unwarranted surveillance for up to 90 days in some instances if a threat was considered "imminent." Intelligence agencies would be allowed to conduct warrantless surveillance for seven days prior to gaining court approval if the threat was considered an "emergency situation." This controversial bill had full support of the Bush administration as a means to provide greater national security in a post-9/11 world. The House passed H.R. 5825 on September 28, 2006 by a vote of 232-191 (Roll Call 502). We have assigned pluses to the nays because such a law would violate the Fourth Amendment by subjecting U.S. citizens to unreasonable searches and seizures. Vote Date: September 27, 2006 Vote: AYE Bad Vote. Military Tribunals. This bill (H.R. 6166) would authorize a new system of military tribunals to try persons designated "unlawful enemy combatants" by the president. The bill defines an unlawful enemy combatant to include a person who "has purposely and materially supported hostilities against the United States or its co-belligerents." Once designated an unlawful enemy combatant, a defendant's rights would be curtailed: he would be denied the right of habeas corpus; he could be detained indefinitely; and evidence obtained through coercion could be used against him--so long as the coercion falls outside the administration's definition of torture. The House passed the military tribunals bill on September 27, 2006 by a vote of 253-168 (Roll Call 491). We have assigned pluses to the nays because the bill would curtail defendant rights. Vote Date: September 14, 2006 Vote: AYE Good Vote. Border Fence. The Secure Fence Act of 2006 (H.R. 6061) would authorize the construction of nearly 700 miles of fencing along the U.S.-Mexico border. The border fence is just the first of a series of border security initiatives that House Republicans intend to merge into the Homeland Security spending bill. If implemented, the 700 miles of fencing along the border would be a good first step toward protecting our borders from the massive influx of illegal immigration facing our country today. The House passed H.R. 6061 on September 14, 2006 by a vote of 283-138 (Roll Call 446). We have assigned pluses to the yeas because such a border fence would help prevent illegal immigration and further protect our borders. Gun Seizure. The Disaster Recovery Personal Protection Act of 2006 (H.R. 5013) would prohibit the confiscation of firearms in the wake of a natural disaster. This bill is a response to the illegal confiscating of firearms from the victims of Hurricane Katrina in August 2005. H.R. 5013 was passed by the House on July 25, 2006 by a vote of 322-99 (Roll Call 401). We have assigned pluses to the yeas because confiscating firearms from law-abiding citizens is a clear violation of the Constitution -- the Second Amendment guarantees that our "right to keep and bear arms shall not be infringed." Vote Date: July 20, 2006 Vote: NAY Good Vote. The Oman agreement is just one steppingstone in the White House's effort to form a Middle Eastern Free Trade Area (MEFTA) by 2013. These so-called free- trade agreements have historically failed because they encourage the relocation of U.S. jobs to foreign countries so that the companies can get cheap labor. Meanwhile, they don't provide the United States with trade benefits -- largely because the people in those countries cannot afford to buy our products -- thereby harming the U.S. economy. The agreements also put our economic destiny in the hands of unelected foreign bureaucrats, such as those at the World Trade Organization. The House passed H.R. 5684 by a vote of 221-205 on July 20, 2006 (Roll Call 392). We have assigned pluses to the nays because such trade agreements damage the U.S. economy and threaten U.S. sovereignty by the imposition of international regulations. Vote Date: July 19, 2006 Vote: NAY Bad Vote. Pledge Protection Act. The Pledge Protection Act of 2005 (H.R. 2389) would counter judicial activism to prevent the removal of the words "under God" from the pledge by restricting federal courts from hearing cases on this matter, as opposed to protecting the pledge by amending the Constitution. The House passed H.R. 2389 on July 19, 2006 by a vote of 260-167. (Roll Call 385). We have assigned pluses to the yeas because H.R. 2389 would protect the Pledge of Allegiance from federal court activism. Vote Date: June 29, 2006 Vote: AYE Good Vote. Offshore Drilling. This bill (H.R. 4761) would end the federal moratorium on most offshore oil and gas drilling. It would continue the ban within 50 miles of shore, while allowing the states the option of extending that ban out to 100 miles. It would also allow states to share in the drilling proceeds. The House passed H.R. 4761 on June 29, 2006 by a vote of 232-187 (Roll Call 356). We have assigned pluses to the yeas because the United States should reduce its dependency on foreign oil and utilize its own energy resources. Vote Date: June 22, 2006 Vote: NAY Good Vote. Line-item Rescission. The legislative line-item rescission bill (H.R. 4890) would allow the president to propose cuts in spending bills already enacted by Congress. The cuts would then receive an up-or-down vote with no opportunity to filibuster or add amendments. The House passed H.R. 4890 by a vote of 247-172 on June 22, 2006 (Roll Call 317). We have assigned pluses to the nays because the rescission bill, though not a full-fledged line-item veto, would still shift some legislative power from Congress to the president, disrupting the U.S. system of checks and balances. Vote Date: June 20, 2006 Vote: NAY Bad Vote. Iran Military Operations. Representative Maurice Hinchey (D-N.Y.) offered this amendment to the 2007 Defense appropriations bill (H.R. 5631). The amendment would bar any funds to initiate military operations in Iran unless it is in accordance with Article I, Section 8 of the Constitution, which delegates to Congress alone the power to declare war. The House rejected Hinchey's amendment by a vote of 158-262 on June 20, 2006 (Roll Call 300). We have assigned pluses to the yeas because the power to declare war belongs to Congress, not to the president, and that much power should not be in the hands of one man. Vote Date: June 9, 2006 Vote: AYE Bad Vote. Foreign Aid. The fiscal 2007 foreign aid appropriations bill (H.R. 5522) would authorize $21.3 billion for foreign operations and economic assistance in fiscal 2007. Though foreign aid is supposed to help the poor and suffering in other countries, it instead has served to prop up economically deficient socialist regimes and to transfer wealth from American taxpayers to third-world elites. The House passed H.R. 5522 on June 9, 2006 by a vote of 373-34 (Roll Call 250). We have assigned pluses to the nays because foreign aid is unconstitutional and unworkable. Vote Date: May 25, 2006 Vote: AYE Good Vote. ANWR Oil and Gas Leasing. This bill (H.R. 5429) would authorize the Department of the Interior to grant leases for oil and gas development in a small portion of the Arctic National Wildlife Refuge (ANWR), along Alaska's northern coast. There are an estimated 10 billion barrels of oil in the targeted portion of ANWR that could bring tens of billions of dollars into the U.S. economy and reduce our dependence on foreign oil. The House passed H.R. 5429 on May 25, 2006 by a vote of 225-201 (Roll Call 209). We have assigned pluses to the yeas because the United States should reduce its dependency on foreign oil and develop its own energy resources. Vote Date: May 23, 2006 Vote: NAY Bad Vote. Defunding the NAIS. Rep. Ron Paul (R-Texas) introduced this amendment to the fiscal 2007 agriculture appropriations (H.R. 5384). Paul's amendment would bar the use of funds in the bill to implement the National Animal Identification System (NAIS), a government program that would electronically track farm cattle and poultry in hopes of preventing the spread of disease. Writing about the program, Paul stated, "NAIS means more government, more regulations, more fees, more federal spending, less privacy, and diminished property rights." The House rejected Paul's amendment on May 23, 2006, by a vote of 34-389 (Roll Call 184). We have assigned pluses to the yeas because the program would unconstitutionally allocate federal spending, place useless regulations on farmers, and threaten the privacy rights of American citizens. Vote Date: May 23, 2006 Vote: AYE Bad Vote. Agriculture Appropriations. This bill (H.R. 5384) would provide $93.6 billion in fiscal 2007 for the Department of Agriculture, the Food and Drug Administration, and related agencies. The funding includes $37.9 billion for the food-stamp program, $13.3 billion for the child-nutrition program, and $19.7 billion for the Commodity Credit Corporation, a federally funded program that aids farmers. The House passed H.R. 5384 on May 23, 2006 by a vote of 378-46 (Roll Call 193). We have assigned pluses to the nays because federal aid to farmers and federal food aid to individuals are not authorized by the Constitution. Vote Date: March 16, 2006 Vote: NAY Bad Vote. Katrina Funding. During consideration of the 2006 supplemental appropriations bill (H.R. 4939), Rep. Randy Neugebauer (R-Texas) introduced this amendment to eliminate the $19.2 billion appropriated in the bill for Hurricane Katrina relief. Neugebauer argued that the supplemental Katrina aid, and the supplemental funding for the wars in Iraq and Afghanistan are separate issues and should be voted on separately. The House rejected the Neugebauer amendment on March 16, 2006 by a vote of 89-332 (Roll Call 57). We have assigned pluses to the yeas because it would have significantly cut unconstitutional federally funded disaster relief. Supplemental Appropriations. This legislation (H.R. 4939) would appropriate a whopping $91.9 billion for emergency supplemental funding in fiscal 2006, including $67.6 billion for the wars in Iraq and Afghanistan, $4.3 billion for foreign aid, and $19.2 billion for Hurricane Katrina relief. Congressional Quarterly noted that the funding in the bill "for the wars in Iraq and Afghanistan would push to more than $390 billion the war-related supplemental funds appropriated since Sept. 11. It would be the sixth major emergency spending measure for the Bush administration." The House passed H.R. 4939 on March 16, 2006 by a vote of 348-71 (Roll Call 65). We have assigned pluses to the nays because -- even if the spending were constitutional -- the funding should be voted on as part of the regular appropriations process and not introduced after the fact as "emergency" spending, ignoring fiscal responsibility. Vote Date: March 15, 2006 Vote: NAY Good Vote. Ports Security -- DP World. Rep. Wayne T. Gilchrest (R-Md.) introduced this amendment to the 2006 supplemental appropriations bill (H.R. 4939) that would strike language from the bill to prohibit the sale of operations at several sea ports to DP World, a state-controlled company based in Dubai, United Arab Emirates. The House rejected the Gilchrest amendment in March 15, 2006 by a vote of 38-377 (Roll Call 43). We have assigned pluses to the nays because, as a matter of national sovereignty, American personnel must manage, maintain, and monitor our own sea ports. Vote Date: December 16, 2005 Vote: NAY Bad Vote. Border Security. The House immigration bill (H.R. 4437) would improve border security by authorizing 700 miles of security fence to be built along parts of the U.S.-Mexican border, making unlawful entry into the United States a criminal rather than a civil offense, and increasing penalties for immigrant-related crimes. It would also require employers to verify immigrant status of new employees. It does not include the guest-worker/amnesty provisions found in the Senate bill. The House passed H.R. 4437 on December 16, 2005 by a vote of 239-182 (Roll Call 661). We have assigned pluses to the yeas because the bill would improve border security. The House-passed bill is very different from the Senate-passed version. For immigration legislation to become law, the House and Senate versions would have to be reconciled and a final version sent back to both houses of Congress for their approval and then to the president for his signature. Vote Date: December 14, 2005 Vote: AYE Bad Vote. The House passed the final version of the bill to reauthorize the Patriot Act on December 14, 2005 by a vote of 251-174 (Roll Call 627). We have assigned pluses to the nays because the Patriot Act tramples on the constitutionally protected rights of U.S. citizens. Vote Date: December 14, 2005 Vote: NAY Good Vote. Labor-HHS-Education Appropriations. This massive social-welfare appropriations bill (H.R. 3010) would provide $601.6 billion in fiscal 2006 for the Labor Department ($14.8 billion), the Education Department ($63.5 billion), the Health and Human Services Department ($474.1 billion), and related agencies. H.R. 3010 is the largest of the appropriations bills considered by Congress this year. In total, H.R. 3010 would provide a 21 percent increase over a similar appropriations bill for fiscal 2005. The House passed the bill on December 14, 2005 by a vote of 215-213 (Roll Call 628). We have assigned pluses to the nays because the bill would provide an increase in spending, and social-welfare programs are unconstitutional. Vote Date: November 4, 2005 Vote: AYE Bad Vote. The House passed the final version of this legislation on November 4, 2005 by a vote of 358-39 (Roll Call 569). We have assigned pluses to the nays because foreign aid is unconstitutional. Vote Date: November 2, 2005 Vote: NAY Bad Vote. Online Freedom of Speech. The Online Freedom of Speech Act (H.R. 1606) would exempt the Internet -- including blogs, e-mail, and other online speech -- from being subject to campaign finance laws and Federal Election Commission regulation. Because supporters attempted to pass the bill under a suspension of the rules, a two-thirds majority of those present and voting was required for passage. Supporters got a solid majority but not the necessary two-thirds, and the legislation was rejected on November 2, 2005 by a vote of 225-182 (Roll Call 559). We have assigned pluses to the yeas because the bill would protect free speech. Vote Date: October 26, 2005 Vote: NAY Bad Vote. U.S. Treasury Borrowing. During consideration of a bill to overhaul the regulation of government-sponsored enterprises, Rep. Ron Paul (R-Texas) offered this amendment to "eliminate the ability of Fannie Mae, Freddie Mac and the Federal Home Loan Bank Board to borrow from the Treasury." During floor debate on his amendment, Paul stated, "I hope my colleagues join me in protecting taxpayers from having to bail out Fannie Mae and Freddie Mac when the housing bubble bursts." The House rejected Paul's amendment on October 26, 2005 by a vote of 47-371 (Roll Call 544). We have assigned pluses to the yeas because Paul's amendment would (in Paul's words) seek to end a "massive unconstitutional and immoral" transfer of income from working Americans to government-sponsored enterprises. Vote Date: September 22, 2005 Vote: NAY Good Vote. Head Start Funding. This legislation (H.R. 2123) would reauthorize the Head Start program through fiscal 2011 and provide $6.8 billion for the program in 2006. The bill would also increase educational standards for Head Start teachers. The House passed the Head Start bill on September 22, 2005 by a vote of 231-184 (Roll Call 493). We have assigned pluses to the nays because the bill would further federalize the educational system, and federal aid to education is unconstitutional. Vote Date: September 14, 2005 Vote: AYE Bad Vote. Hate Crimes. During consideration of the Children's Safety Act of 2005 (H.R. 3132), Rep. John Conyers (D-Mich.) introduced this amendment to add a separate federal criminal charge for committing an act of violence based on race, color, religion, or national origin; and to broaden the category of hate crimes to include sexual orientation, gender, or disability. Current hate-crime laws extend only to sentencing and do not provide for additional charges to be brought against an individual. 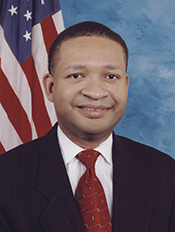 The Conyers amendment was passed by a vote of 223-199 on September 14, 2005 (Roll Call 469). We have assigned pluses to the nays because this legislation would further federalize the criminal code as well as punish not only criminal acts but the thoughts behind them. The House passed the Katrina appropriations bill on September 8, 2005 by a vote of 410-11 (Roll Call 460). We have assigned pluses to the nays because federally financing disaster relief is unconstitutional. The House adopted the final version of this legislation on July 29, 2005 by a vote of 412-8 (Roll Call 453). We have assigned pluses to the nays because the bill increases transportation spending and is fiscally irresponsible. Vote Date: July 28, 2005 Vote: NAY Good Vote. CAFTA. This bill (H.R. 3045) would implement the proposed Central American Free Trade Agreement (CAFTA), thereby expanding the devastating consequences of the North American Free Trade Agreement (NAFTA), including the job losses wrought by NAFTA. CAFTA is intended by the Power Elite to be a steppingstone from NAFTA to the proposed Free Trade Area of the Americas (FTAA), which would include all of the countries of the Western Hemisphere except (for now) Cuba. Like NAFTA, which has already begun imposing its trade rulings on America, CAFTA and the FTAA would not be genuine free trade arrangements; they would instead manage trade and would gradually exercise more powers on the road to a supranational government modeled after the European Union. The House passed CAFTA on July 28, 2005 by a vote of 217-215 (Roll Call 443). We have assigned pluses to the nays because CAFTA would further damage the U.S. economy and threaten U.S. sovereignty. Vote Date: July 21, 2005 Vote: AYE Bad Vote. Patriot Act Reauthorization. In the wake of the 9/11 terrorist attacks, Congress passed the so-called Patriot Act, which gave law enforcement and intelligence agencies vast new powers to combat terrorism. The act expanded the list of crimes deemed terrorist acts; increased the ability of law enforcement to secretly search homes and business records; expanded the FBI's wiretapping and surveillance authority; and provided for nationwide jurisdiction for search warrants and electronic surveillance devices, including the legal extension of those devices to e-mail and the Internet. The bill included a "sunset" provision under which the new surveillance powers "shall cease to have effect on December 31, 2005." The Patriot Act reauthorization bill (H.R. 3199) considered by the current Congress would make permanent 14 of the 16 provisions set to expire at the end of this year and extend for 10 years the remaining two provisions. The House passed the reauthorization on July 21, 2005 by a vote of 257-171 (Roll Call 414). We have assigned pluses to the nays because the Patriot Act tramples on the constitutionally protected rights of U.S. citizens. Vote Date: June 28, 2005 Vote: AYE Bad Vote. Foreign Aid. This appropriations bill (H.R. 3057) would provide $20.3 billion for U.S. foreign aid programs in fiscal 2006. The House passed the foreign aid bill on June 28, 2005 by a vote of 393-32 (Roll Call 335). We have assigned pluses to the nays because foreign aid is unconstitutional. Vote Date: June 24, 2005 Vote: NAY Good Vote. Labor-HHS-Education Appropriations. This mammoth social-welfare appropriations bill (H.R. 3010) would provide a total of $601.6 billion in fiscal 2006 for the Labor Department ($14.8 billion), the Education Department ($63.7 billion), the Health and Human Services Department ($473.8 billion), and related agencies. The bill is by far the largest of the 11 appropriations bills written by the House this year. In total, H.R. 3010 would provide a 21 percent increase over a similar appropriations bill for the previous year. The House passed this bill on June 24, 2005 by a vote of 250-151 (Roll Call 321). We have assigned pluses to the nays because this bill represents a significant increase in spending, and social-welfare programs are unconstitutional. Vote Date: June 24, 2005 Vote: NAY Bad Vote. Mental Health Screening. During consideration of the Labor-HHS-Education appropriations bill (H.R. 3010), Rep. Ron Paul (R-Texas) offered an amendment to "prohibit the use of funds in the bill to create or implement any universal mental health screening program." The House rejected Paul's amendment on June 24, 2005 by a vote of 97-304 (Roll Call 317). We have assigned pluses to the yeas because federally funding such programs is unconstitutional. Vote Date: June 17, 2005 Vote: NAY Good Vote. UN "Reforms." On the surface, this United Nations "reform" bill (H.R. 2745) appears to be a "conservative" get-tough response to UN corruption. It would withhold up to 50 percent of U.S. dues to the UN unless the UN makes certain operational changes, and many "conservatives" voted for it. In reality, the legislation calls for strengthening the UN in the name of "reform." Rep. Ron Paul (R-Texas) warned in his June 13 Texas Straight Talk column that the "reform" bill supports creation of a "Peace-building Commission," which "will serve as the implementing force for the internationalization of what were formerly internal affairs of sovereign nations." The House passed the UN "reform" bill on June 17, 2005 by a vote of 221-184 (Roll Call 282). We have assigned pluses to the nays because the reform bill is a trap, and the solution to the UN threat is not to reform the world body but to get the U.S. out. Vote Date: June 15, 2005 Vote: NAY Bad Vote. UN Dues Decrease. During consideration of the Commerce-Justice appropriations bill (H.R. 2862), Rep. J.D. Hayworth (R-Ariz.) offered an amendment to cut the U.S. "contribution" to the United Nations by $218 million. The House rejected Hayworth's amendment on June 15, 2005 by a vote of 124-304 (Roll Call 253). We have assigned pluses to the yeas because reducing U.S. dues to the UN is a step toward defunding it and getting the U.S. out. Vote Date: June 9, 2005 Vote: NAY Bad Vote. WTO Withdrawal. Representatives Bernie Sanders (I-Vt.) and Ron Paul (R-Texas) sponsored this measure (House Joint Resolution 27) to withdraw the United States from the World Trade Organization. The WTO is often portrayed as a "free trade" arrangement by its supporters, but it is actually an international bureaucracy that manages trade and imposes its rulings on member nations including the United States -- even when those rulings are contrary to U.S. laws. In fact, U.S. membership in the WTO is unconstitutional, since under our Constitution, Congress -- not an international body -- "shall have the power ... to regulate foreign commerce." That power cannot be transferred short of a constitutional amendment. The House rejected the WTO withdrawal measure on June 9, 2005 by a vote of 86-338 (Roll Call 239). We have assigned pluses to the yeas because our participation in the WTO is unconstitutional and threatens our sovereignty. Vote Date: May 24, 2005 Vote: AYE Bad Vote. Embryonic Stem-cell Research. This bill (H.R. 810) would allow federal funds to be used for research on embryonic stem-cell lines, which can be created only by cannibalizing and destroying human embryos -- innocent human life. Proponents contend that the research is needed to combat various diseases, but stem cells from sources other than embryos may provide more promising results, without killing some human beings for the supposed benefit of others. The House passed the bill on May 24, 2005 by a vote of 238-194 (Roll Call 204). We have assigned pluses to the nays because the research would violate the right to life. Vote Date: May 5, 2005 Vote: AYE Bad Vote. The House adopted the final version of H.R. 1268 on May 5, 2005 by a vote of 368-58 (Roll Call 161). We have assigned pluses to the nays because the bill contains both unconstitutional spending and the REAL ID Act. Vote Date: May 4, 2005 Vote: AYE Bad Vote. Vocational/Technical Training. This bill (H.R. 366) would reauthorize the Carl D. Perkins Vocational and Technical Education Act, which funds vocational and technical education programs. The bill would authorize $1.3 billion in fiscal 2006 and "such funds as necessary" in fiscal 2007-11. It would also merge Perkins funding with "Tech-Prep," a program that provides certain math and science courses to high school students to "ease the transition" from high school to a vocational or community college. The House passed this bill on May 4, 2005 by a vote of 416-9 (Roll Call 154). We have assigned pluses to the nays because federal aid to education and job-training programs is unconstitutional. Vote Date: April 20, 2005 Vote: NAY Good Vote. Fuel Efficiency Regulations. During consideration of the energy policy bill (H.R. 6), Rep. Sherwood Boehlert (R-N.Y.) introduced an amendment to increase the Corporate Average Fuel Economy (CAFE) standards to at least 33 miles per gallon by model year 2015 for automobiles. The standard is now set at an average of 25 miles per gallon. Since neither legislators nor manufacturers have a magic wand to reduce the amount of gas required to move a certain mass a certain distance, this legislation would effectively force manufacturers to reduce vehicle size and weight, thereby limiting consumer choices and making vehicles less safe. The House rejected Boehlert's amendment by a vote of 177-254 on April 20, 2005 (Roll Call 121). We have assigned pluses to the nays because federal regulations limiting consumer choices are unconstitutional. Alaskan Drilling. Rep. Edward Markey (D-Mass.) offered an amendment to delete language in the energy policy bill (H.R. 6) that would allow leases for oil and gas exploration and development in the Arctic National Wildlife Refuge (ANWR) in Alaska. Drilling in ANWR is now banned, and Markey wants to keep it that way despite the fact that ANWR likely contains billions of barrels of oil and could be on a par with Prudhoe Bay, North America's largest oil field. The House rejected Markey's amendment on April 20, 2005 by a vote of 200-231 (Roll Call 122). We have assigned pluses to the nays because the United States should develop its own energy resources and reduce its dependence on foreign oil. Vote Date: April 13, 2005 Vote: NAY Bad Vote. Permanent Repeal of Estate Tax. Rep. Kenny Hulshof (R-Mo.) sponsored this bill (H.R. 8) to permanently repeal the estate tax, commonly known as the "death tax." Under current law, the estate tax will be phased out by 2010, but because of a "sunset" provision the tax will be fully eliminated for only one year before being reinstituted. Hulshof's bill would eliminate the sunset clause, making the repeal permanent. The estate tax has forced many cash-poor but asset-rich individuals to liquidate their family farms and other small private businesses rather than bequeath those assets to their loved ones. The House passed this bill on April 13, 2005 by a vote of 272-162 (Roll Call 102). We have assigned pluses to the yeas because permanently repealing the estate tax would be a constitutional tax cut that would benefit the elderly and their families. Vote Date: September 23, 2004 Vote: NAY Bad Vote. Vote Date: July 22, 2004 Vote: NAY Bad Vote. Vote Date: July 15, 2004 Vote: NAY Bad Vote. Vote Date: June 3, 2004 Vote: NAY Good Vote. Vote Date: May 19, 2004 Vote: AYE Bad Vote. Vote Date: April 22, 2004 Vote: NAY Bad Vote. Vote Date: April 2, 2004 Vote: AYE Bad Vote. Vote Date: February 4, 2004 Vote: AYE Bad Vote. Vote Date: October 31, 2003 Vote: NAY Good Vote. Vote Date: July 22, 2003 Vote: NAY Bad Vote. Vote Date: July 16, 2003 Vote: AYE Bad Vote. Vote Date: July 15, 2003 Vote: NAY Bad Vote. Vote Date: July 10, 2003 Vote: NAY Good Vote. Vote Date: May 23, 2003 Vote: NAY Bad Vote. Vote Date: May 22, 2003 Vote: AYE Bad Vote. Vote Date: May 8, 2003 Vote: NAY Good Vote. Vote Date: May 1, 2003 Vote: AYE Bad Vote. Vote Date: April 30, 2003 Vote: NAY Good Vote. Vote Date: April 11, 2003 Vote: NAY Good Vote. Vote Date: March 20, 2003 Vote: AYE Bad Vote.